You will become an educated specialist in the field of project risk management activities by learning all the required universal essentials of managing project risks in any industry. 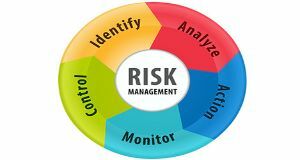 You will have a complete understanding on how to apply a key processes on managing project risk including risk management planning, identification, qualitative and quantitative analysis, response planning, monitoring and control. The Course is based on PMI (Project Management Institute) PMBOK Guide 6th Edition recommendations and includes systematic study of project risk management processes application description. Course participants will get structured knowledge of project risk management principles and effective processes of project risks identification, analysis, response strategies implementation and monitoring. This competency prove most valuable from a practical point of view and it’s high level allows implementing projects more effectively. The course material is developing specific practical skills and presented from a project manager’s role and position. Section 1 : What is Project Risk Management? 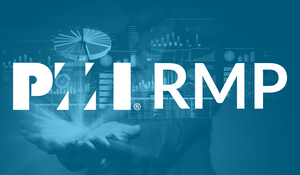 What is Project Risk Management? Section 2 : How to approach risk management activities for a project? Section 3 : Which risks may affect the project? Section 4 : How to Perform risk analysis? Section 5 : How to exploit the opportunities and to reduce threats to project objectives? Ph.D, PMI PMP, IPMA CPM. 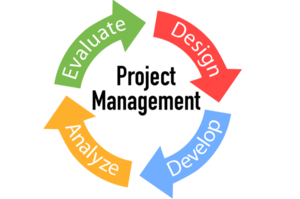 Professional business trainer and consultant in the field of Project Management. 2015 – till now – Alexander Pavlov Project Management School, Founder and Head 2013 – till now Russian Presidential Academy of National Economy and Public Administration (RANEPA), Associate Professor 2004 – till now - PM Expert Company: Partner, Leading Business Trainer and Consultant 2004 – 2015- PM Expert Company: Managing Partner, First Deputy General Director 2005 – 2007 - Project Management Institute (PMI®), Moscow Chapter, Vice President 2004/05 – 2004/11 – StroyInkom-K Ltd. (Africa-Israel Investments Corp. division in Russia): First Deputy General Director (temporary contract) 2002 - 2003 – TransTeleCom Company: Vice President, Director, Sales Support 1993 – 2001 – IBM East Europe / Asia: Global Services Operations Manager, Professional Services Manager, Systems Integration Manager, Project Manager, Learning Services Department Manager MS in System Analysis and Information Systems -	Moscow Physical Engineering Institute (1973 – 1979) PhD in Information Systems Design & Development -	Moscow Physical Engineering Institute (1981 – 1984) Advanced marketing/sales training, Completed Project Management education -	IBM International Education Center, La-Hulpe, Belgium, (1994 – 1996) People Management education and Leadership Institute graduation -	IBM Central Europe & Russia HQ, Vienna, Austria (1998) PMP, Project Management Professional, PMI Certified (2000) CPM, Certified Project Manager, IPMA Certified Level C (2015).